We’ve made this engaging and useful little book available as a PDF for you to download and read. Pass this webpage on to other leaders as well … anyone who needs a fresh shot of vision and the values of biblical reproduction that is natural in a healthy group. 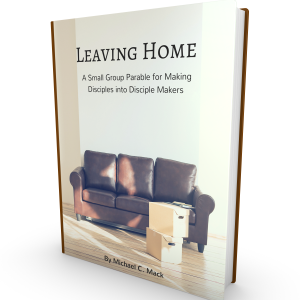 How do we get our small group to grow and multiply? That’s a common question I’m asked as I coach and train leaders. The issue is about biblical vision and values. I wrote a little parable-based book in 2000 and printed it up to hand out to my small group leaders and their coaches, leaders I spoke to at conferences, and anyone else interested in the topic. This story helps leaders and groups “get it” and put it into action. This is a great resource. I keep one in the bookcase by my desk and use it with groups that just seem to grasp the absurdity of staying in the same group of people year after year and thinking it’s a good thing for themselves and the world around them. $4.49 Get yours on Kindle!